Prisoners are human beings with the same potential for good as the rest of us. The evidence is this art - born in the penitentiary - art that challenges stereotypes of inmates. Kornfeld speaks from her personal experience with the artists, their processes, and the prison environment in which the work was created. She quotes men and women in institutions from county jail to death row. They are candid and insightful about their lives, their art, and their imprisonment. Daniel Claster, Professor of Sociology, Brooklyn College. "I do what I can to help my students see prison inmates as individuals who aren’t that different from the range of people who aren’t in prison. Kornfeld’s presentation contributed to that purpose to a far greater extent than I can do in the ordinary didactic class situation." Charles K Edgley, Head, Dept of Sociology ,Oklahoma State University. "The slide presentation, Cellblock Visions, keeps audiences enthralled with its social conscience, deep commitment to humanitarian ideals and unflagging sense of hope even under the most depressing circumstances imaginable. 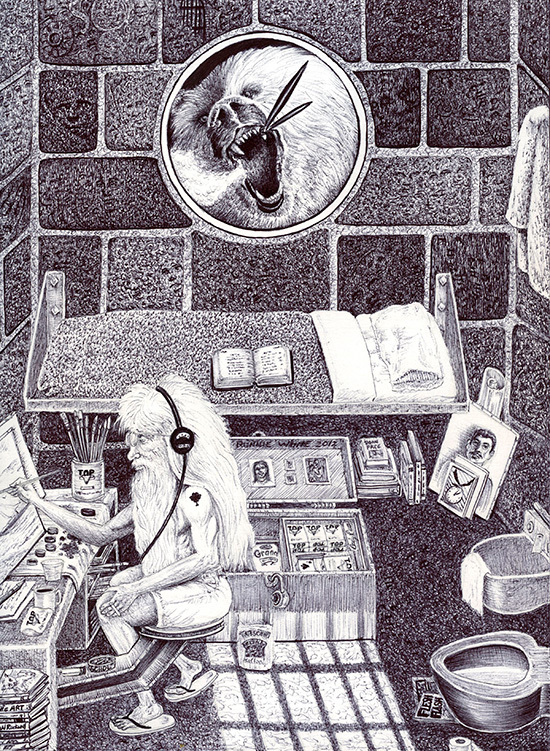 The art work done by prisoners is simply amazing, and Kornfeld’s ability to weave multiple themes makes her work appeal to a wide variety of disciplines." " In an America that is in the process of returning to the medieval idea of prison as a place of punishment and revenge, as opposed to places of rehabilitation and healing, here is a tiny ray of hope. Here is art that evidences deep and personal healing and lasting change."